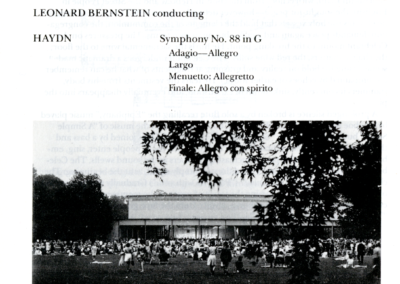 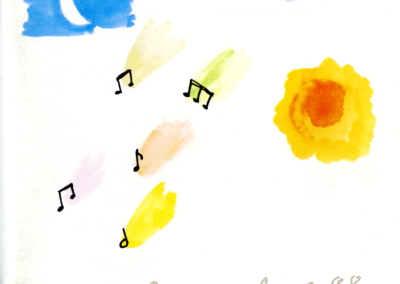 Bernstein conducts the BSO in a performance of Tchaikovsky’s Symphony No. 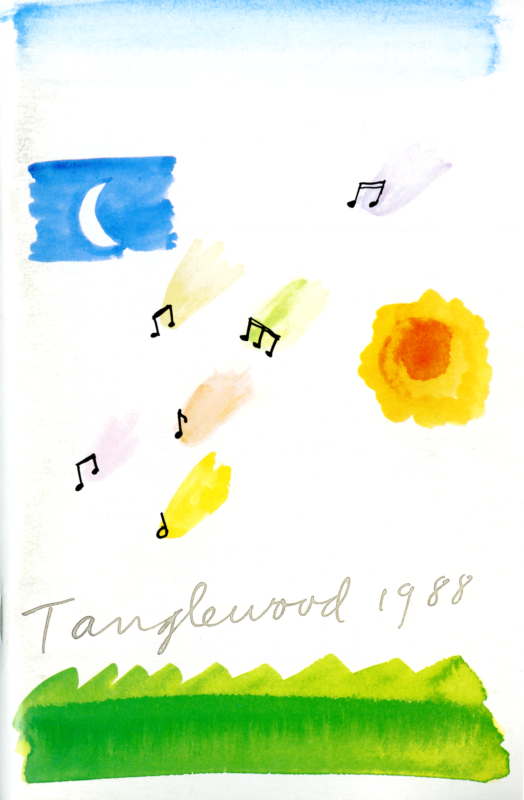 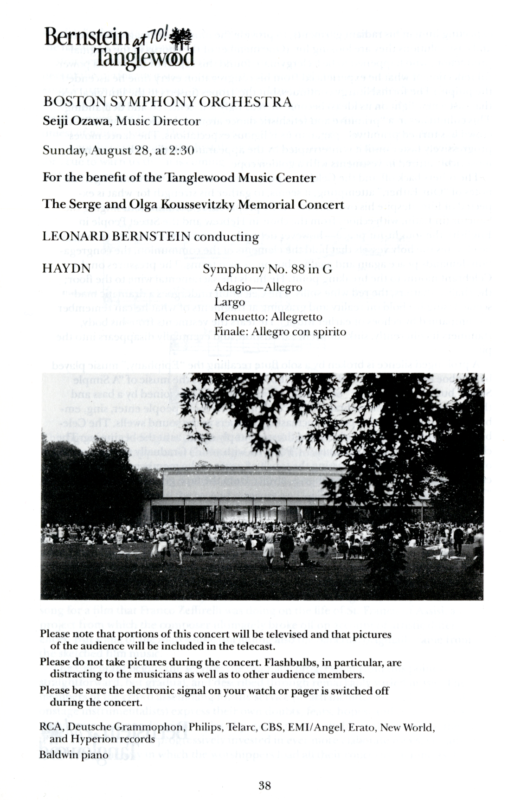 5 at Tanglewood’s annual Serge and Olga Koussevitzky Memorial concert. 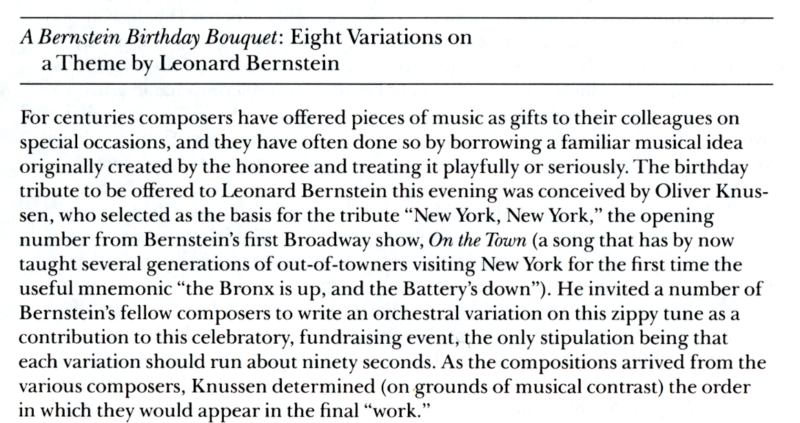 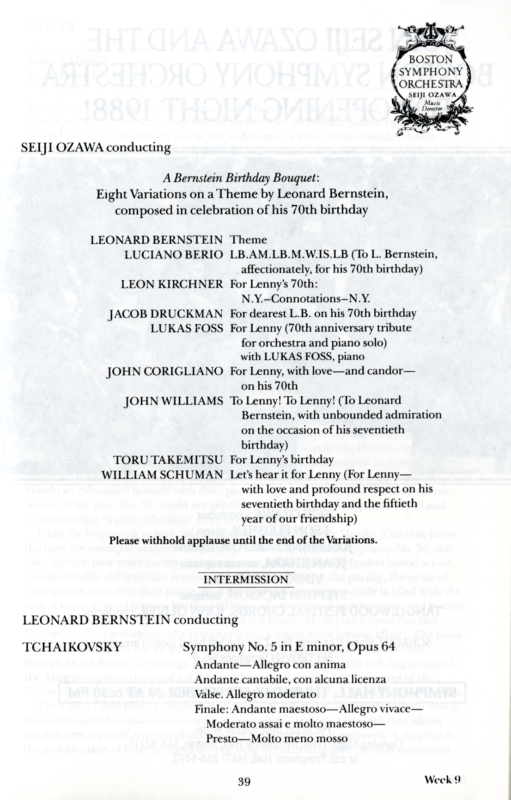 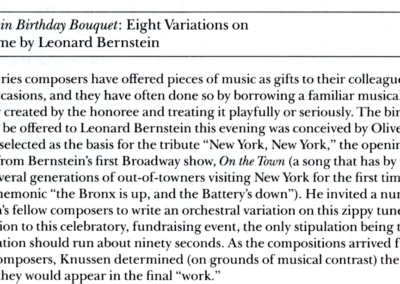 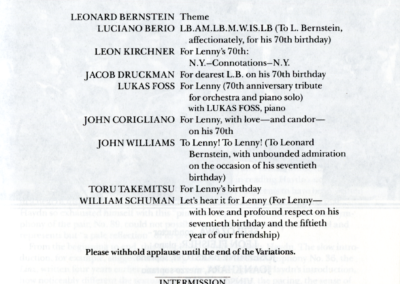 Below are pages from the concert program including program notes on Bernstein’s Birthday Bouquet.